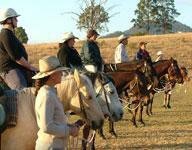 Imagine having a team of horsemen helping you through every step of your journey toward improving your horsemanship. 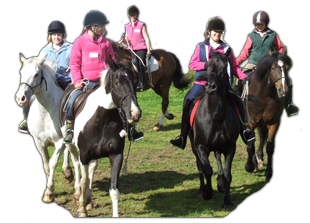 Whether it is building confidence, developing your riding skills, your feel and timing with horses or learning how to develop a life long bond with your horse, having someone to support you along the way is what the QS Horsemanship Modules bring to you. The QS Horsemanship Modules are a combination of all the training courses available from QS, combined in achievable study modules. With some great new videos to support you, they will keep you on track and help you stay motivated toward achieving your goals. 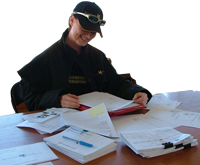 Although there is no timeline here, as horsemanship is about the journey, most Modules are six week courses although some are a little longer and all Modules contain videos, books, homework cards and assignments. Each Module has a title description matching the main goal for that module, for example ‘Confidence’ or ‘Connection’. It is best to start at Module 1 and do them in order, even if you have been studying QS for a while just to make sure all your foundations are solid. We also recommended you subscribe for a QS Membership so you can get even more support from our fabulous forum and have your own personal coach help you with your weekly assignments. If you are not a QS Member but would like to be, Click Here and choose your Membership subscription. If you are a Gold or Platinum Member, all Modules are already available for you to access online via the QS forum. If you would like a Module on USB Flash Drive to save you downloading, just purchase the Module you would like and we will send it to you. This is great if your internet connection is limited. When you purchase a Module, not only will you get instant access to all the training materials, you will also receive emails each week to help you stay on track with your study.